Learn All About The Best Diapers for Your Baby! What infant diaper would you select for your newborn if you needed to choose the very best diaper? This has always been a heated topic, especially for all newbie parents. Well, selecting the best nappies for the sensitive skin of their little ones is the foremost requirement of all new parents starting their parenthood. However, it is extremely vital that you select the best soft and harmless diapers for the small bum of your little baby. But, which diapers are the best options for your new baby? Before we even start selecting the brands, it is important to make the decision of whether you wish to opt for the cloth diapers or the disposable diapers. The disposable infant diapers are soft but expensive and unusable. On the contrary, the cloth diapers are soft, harmless and washable which makes hem perfect for babies. The disposable diapers are designed with great absorbance attribute which causes dryness and hence rashes on the little bums of the babies. As a result, it is better to select the cloth infant diapers over the disposable ones. Once you have made your choice of selecting the cloth diapers, you should then focus more on choosing the best cloth infant diaper. The market today offers you a wide range of baby diapers, each manufactured with a special attractive feature. Even the simple washable cloth diapers are available in a wide range of brands with different absorbance levels and sizes. Hence, it is important that you select only the best infant diaper brands. For giving your baby a special reason to smile and dance all through the day and sleep at night, prefer selecting the best brands like: Kissaluvs diapers, Bumkins diapers, Bummis diapers, Fuzzi bunz diapers, etc. Cleaning reusable diapers over and over again is a true nightmare that haunts every new parent. And hence, most prefer selecting the disposable diapers over the simple reusable cloth diapers. However, things have changed a lot in today’s world, especially the cost of disposable diapers and the wide range of diaper brands, some good and some cheap brands. This only makes it difficult for the new parents to select the right baby diapers with the suitable water absorption levels. However, not all diapers are preferable for the soft and sensitive skin of the babies. 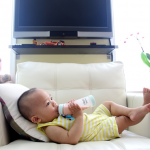 As a result, a large number of people today, prefer the reusable diaper for their babies. Here are 5 points that justify the use of the reusable cloth diapers by most parents. Environmentally Safe: Once used, the disposable diapers are then left out as garbage, which don’t decompose with time. As a result, they keep piling in the city’s garbage and hence affect the environment automatically. On the contrary, a reusable diaper is easy to wash and doesn’t add to the environment’s dump. Cost Effective: Each disposable diaper is extremely expensive. Once they are used, the money and the diaper are thrown down into the drains. On the contrary, using a reusable diaper is much cost-effectual. They can be easily washed and again reused for the next babies as well. Uniform size: The cloth diapers are available in just one size. Hence, they can be used for babies of all sizes. You don’t have to spend extra money for the varying sizes. Harmless to the baby’s skin: Disposable diapers have high absorbance power that leads to diaper rashes and even bacterial infections. As a result, it is better to use the simple and soft cloth based reusable nappies. Reusable nappies: The reusable diapers are easy to wash and avoid any kind of infection in the babies. Motherhood changes everything when you look at your newborn, but it turns your world upside down when diapers come in picture! Washable diapers are here in your shelf to help for multiple reasons. Washable diapers are every smart parent’s choice. Your parents, relatives, friends and even your baby sitter will consider your switch to these reusable diapers wise. These baby diapers are available in different styles and fit all bottoms readily without hassles. They go into your washing machines, are environment friendly and really economical. Grab a Gerber package of 10 here! Calculating & thinking of affordable healthy baby products, imagine the number of diapers your infant can handle in few years till potty training? Disposable diaper causes rashes and harms your baby’s bottom with all the chemicals used to make the disposable diapers; it is untrue for the cloth diapers. Washing cloth diapers allows reuse again and again till your baby needs one. Liner that is flushable comes handy to clean and wash these eco- friendly diapers. You need not rush to pharmacy or superstore for diapers; you can get used ones clean shortly. Midnight blues are a part of parenting but spending your earnings to buy disposable diapers need not be. Pocket diapers, all in one diaper and fitted diapers are some varieties offered in organic fabrics like cotton, bamboo and hemp which are soft and breathable for baby’s skin. Washable nappies are available in a variety of fabrics, color and designs. Diapers with Velcro, bands and snaps are accessible for adjusting sizes as your baby grows. Washing cloth diapers may take some time but experienced moms will confirm this fact that reusable diapers surpass the disposable ones at new levels. Think of a baby and soon follows diapers! Being a newbie at parenting, choosing from hundreds of baby friendly products in a superstore is stressful. 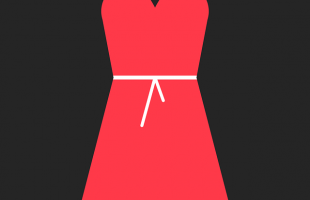 Everyone has their own favorite fabric to suggest, but you make the choices for your young one. Organic cotton diapers are very popular among products for a rash free happy baby. With concerns for healthy living getting higher, cotton diapers are new mom’s dream come true! Cotton nappies are economical, comfortable, breathable and gentle on your infant’s skin. They keep bottoms dry and fresh for longer, so you can grab some peaceful baby time. Cotton is durable, non allergic and bio-degradable natural fabric recommended by doctors and experienced parents for any newborn. You have organic cotton based diapers too which are chemical & pesticide free, an ideal choice for your baby. Even for babies with sensitive skin or allergy like condition organic cotton diapers are advised by skin specialists and used at prime hospitals. Cotton diapers are very cost effective and do not require ample supply. You can use the cotton nappies for your kid again by just washing them unlike disposable one. All you need is a flushable liner for pre wash to get rid of the waste. The cotton based diapers are really absorbent and are good to soak up wetness allowing your baby to be dry especially in hot and humid climate. It is environment friendly as it is carbon neutral and can be recycled without polluting earth. With the number of diapers used per year per baby you can play your role well in saving your baby and Mother Nature a fortune. 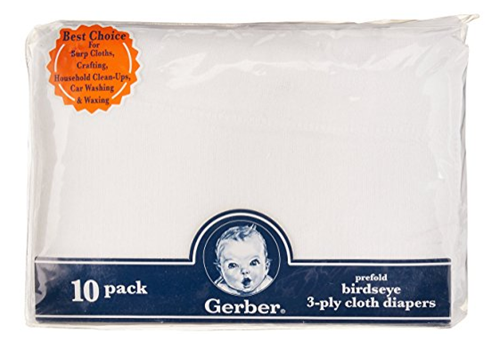 Use cotton diapers for your newborn and be sure to pack a few in your hospital bugout bag! Tough competition in today’s market has opened floodgates of products, but which one to buy is big question! Hemp diapers are a good option among the natural fabric based nappies. You are assured it really suits your gentle baby; you don’t take chances with using them to see rashes or a weepy baby. Hemp is a very strong material; it absorbs well and even has anti-microbe potential. It comes in 100% pure material or with organic cotton mixed in proportion to keep your tiny tot dry and rash free. Cultivation of hemp consumes fewer resources compared to other fabrics so you can stop worrying about polluting the endangered earth. Hemp cloth diapers are much cheaper, available as pocket diapers in designs that look and work just like regular diapers. Durability of hemp diapers need not be doubted, you can ensure dryness with use of different inserts when your baby keeps developing from stage to stage. It is easy to handle and cleans with regular washing. Does not require bleach or strong detergents for cleaning hemp cloth diapers, simple disposing of waste and machine wash works fine. Investing in a liner will take away half your worries of washing diapers. If you’re a new mother, expecting a baby or switching diapers, reusable cloth daipers should be your preferred choice and hemp diapers certainly need to be given fair chance. You may choose from many trendy, eco friendly and completely recyclable hemp nappy designs to fit your baby through heavy wetting or random outing days. Sensible option is to consider the advantages of cloth diaper use in the long run on your pockets and baby’s body. Hemp cloth diapers begun changing lives of mothers and their newborns world wide in a green way you want to join in? You will love it completely. Huggies diapers have always been the favorite diapers of most new parents. 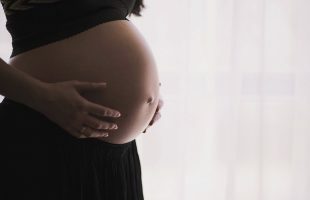 Huggies, a reputable diaper manufacturing company, has served parents for over decades helping them rightly nurture their babies from the harmful chemical based products. The company is the world’s second largest diaper brand in the market and is known for its innovative baby diaper products. Huggies is known for its leak proof, soft and comfortable skin friendly diapers and huggies wipes. The company is known to manufacture diapers and wipes that are designed using the special materials which allow the baby’s skin to stay soft and smooth. They never cause diaper rashes or dryness in the baby’s little bums. These huggies nappies absorbs the baby’s excretes but still keeping the skin rightly moisturized. They also help give the baby enough cushion inside, hence making the babies feel extremely comfortable at all times. The huggies diapers are available in a wide range of sizes, based on the growth of all babies. For instance, you can select the huggies baby Newborn Gentle Care diapers for babies weighing as much as 18 pounds. These diapers have a special u-shape in the front that allows the newly incised belly button of the newborn babies, heal with the passing time. Similarly, you can also select the Huggies Overnites that are the perfect diapers for babies to enjoy an uninterrupted silent sleep, all night long. One more additional product offered by Huggie diapers includes the Huggies supreme natural fit, a diaper that is available in sizes to fit a newborn as all as to the size 6 babies. The huggies baby products manufacturing company also offers other baby products, based on the needs of all new nurturing parents. Pampers DiapersWe all love the carefree days of childhood! 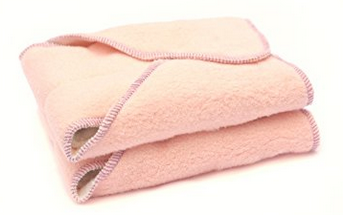 Imagine a baby worrying of wetting and diaper changing process frequently. Ignorance was boon only when you were a baby; it is bane to you as a mommy shopping for diapers. Pampers nappies are gift from fairy godmother to your baby. Comfort of your baby means less crying time, happier play time and a relaxed motherhood. Every brand will claim it is best but you can choose what works for you and your child. Saving money, being thoughtful about health, pollution and difficult washing tasks all become part of your monthly responsibilities every time you buy diapers. Changing diapers becomes regular task as you care for your newborn. Pampers cruisers come in a wide size, design range and variety so your baby will not feel wet or uncomfortable wearing one. It has super absorbance and leak proof locking system to keep them snug full time. Chemicals free and rash proof kind of diapers will be your ultimate goal to assure tender care for your baby. Pampers newborn diapers are fulfilling this criteria for a trim and healthy fit. Even if your baby has allergies to some fabric you can see pampers diaper are very sensitive on the newborn’s gentle skin. Try samples to assure only the best care for your child. They have large super saver packs for you to stock, save few bucks and reduce your pharmacy trip in odd hours of day or night. 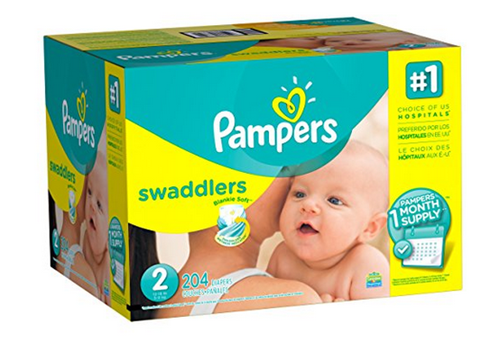 Being a friend, relative or grandparent gifting pampers cruisers to any new baby on a visit will be appreciated by first time parent. Your baby will certainly show a liking for pampers diapers with more smiles and playfulness. No more rashes, leaks and worrisome sleepless nights with pampers for every baby’s nappy needs. Easy to use, soft and highly comfortable cloth diapers, Kissaluvs Diapers feature some of the most attractive attributes. They are the latest diaper brands for the new age smart diapers. A family owned business, Kissalvus has become one of the leading baby diaper brands in the country. Based in Texas, USA, the company offers its customers some of the best varieties of Kissaluvs Diapers. The company offers the Marvels One-Sized fitted diapers, fitted diapers, the contour diapers and also the kissa wool lover diaper covers. Each of these diapers and diaper covers are designed particularly to offer maximum comfort to the babies. They are simple washable cloth diapers that actually help in giving the baby comfort all through the day. These Kissaluvs Diapers have the elasticized legs and waist bands that help the diapers stay in their position without leaking from the sides. They are printed, simple in their design, and include snaps that help the diapers to fit easily for babies of different sizes. The Kissaluvs Diapers include three body layers with microfiber soakers that provide immense absorbency levels even for the heavy wetters. 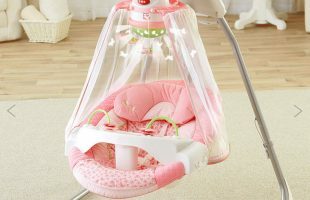 This allows the babies to play and sleep for a longer time without having getting cranky about their wet diapers. However, being parents, you should also take care that the diapers are not too wet and are changed regularly. Wet diapers can cause bacterial infections, fever, rashes and even allergies in the babies. As a result it is extremely important that you only select the Kissaluvs Diapers for your babies. The Kissaluvs Diapers are made from 100% pure cotton which makes them extremely safe and soft for the little bums of the babies. They also provide the smart and colorful baby diaper covers for the comfort of the babies. Thinking of diapers, most people usually remember the easy to fit Velcro diapers as compared to the pin diapers. The new Velcro diapers are the first choice of people, especially for its attractive features. However, things were a lot different in the previous times when people used the simple home based pin diapers. The cloth diapers were folded in a triangular shape and then wrapped around the baby’s bums using a safety pin. However, this seemed to be a lot risky, especially for the naughty kids who would tinker with their diapers and pins. These pin diapers can hurt the babies and hence should not be preferred much by parents. Nowadays, nearly all the brands of diapers are available with the Velcro adjustable straps that help the diapers to stay in place for the babies. These diapers also have a smart diaper cover that gives them a smart look. The simple Velcro diapers are fast and easy to fasten, especially for the babies who hate to ear diapers. These diapers are usually the prefold diapers that need not be shaped before being used or strapped across the bummies if the babies. They are fit enough for the baby’s legs which prevents the diapers from leaking on the sides. The Velcro diapers are available in all types of sizes and have a good absorbent level that makes it easy for the new parents to change the diapers. The bumGenius diapers with the Velcro straps are most comfortable and perfect for the night time. So, change the diapers of your baby with ease using the Velcro diapers. Pocket cloth diapers! Well, they rightly satisfy the meaning of their name and are designed differently for the comfort of the new born babies. These diapers are designed with a pocket, and include two layers, an outer and an inner layer. But where is the pocket placed? The two layers of the diaper are separated by a hole at a particular point which appears like an opening for allowing the water absorbent material to be placed within the diaper. This hole is also termed as the pocket. The absorbent material placed within the pocket cloth diapers, absorbs the water passed out by the baby thus relieving him from the moisture. After a long use, the absorbent material can be easily removed from the diapers for proper cleaning so that they can be reused again. As a result, these innovative diapers are greatly used by several new parents. The pocket cloth diaper is mainly a two piece diaper and has a completely waterproof outer layer which includes a stuffer. 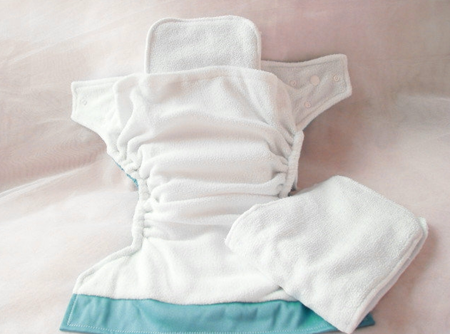 These pocket cloth diaper are also available in 3 pieces, which also includes diaper cover. You decide the absorbency levels. Stuffing the diaper with the right level and type of the absorbent is completely in the hands of the parents. They are easy to separate and hence clean. The diaper can be small if you stuff them with very little absorbent stuffing. The pocket cloth diapers are available in several attractive prints and colors. So, keep your babies safe, dry and healthy with the best pocket cloth diaper.